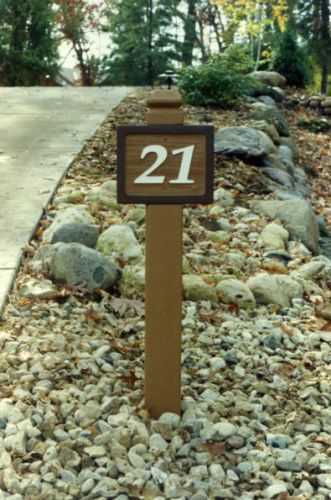 Make your landscaping complete with a custom designed house number sign. See more informational signs here. Service Area: Verona, Middleton, Oregon WI, Monona, Mc Farland, Stoughton, Monroe, Lodi, Evansville, Brodhead and surrounding communities.